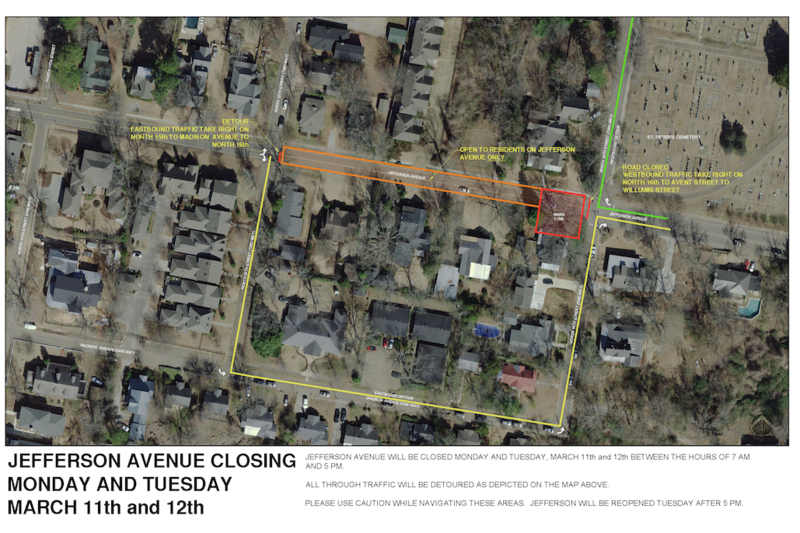 Jefferson Avenue will be closing between North 15th and North 16th on Monday and Tuesday (March 11-12) for the removal of a large tree on City right-of-way. The road will be closed during working hours ( 7 am to 5 pm) and reopened at night. Jefferson is scheduled to be reopened as normal on or before Tuesday evening at 5 pm. Eastbound traffic will be detoured on North 15th (either north or south), and westbound traffic must take a right on North 16th street.